Scientists have found an ancient meteorite that could explain the origins of life – not just on our planet but elsewhere. The new discovery looked at rocks that formed during the very birth of our solar system, 4.5 billion years ago. By peering back into that ancient time, astronomers can try and understand how our Earth came to support life. And by using those same findings, researchers might be able to understand whether there could be life in other solar systems. The research confirms that important organic materials appear to have been formed at the beginnings of our solar system. By looking at the isotopic signature of the compounds within the rocks, they can find the "fingerprints" of key elements – including carbon, hydrogen, oxygen, nitrogen, and sulphur, all of which are both central to the beginnings of life and have been found inside those rocks. If such organic materials can be formed through relatively simple processes in the early solar system, then they might be widespread elsewhere, too. That might mean that life could be found more often in other planetary systems than we had expected, the researchers suggest. The kind of ancient meteorite studied by the University of Manchester scientists are incredibly rare: known as carbonaceous chondrites, they comprise only a few per cent of all known meteorites. And they are an incredibly important and unusual way of looking back at the very beginnings of the solar system that surrounds us, since the Earth tends to wipe out such records. “Earth is a dynamic planet – processes such as plate tectonics and erosion have erased most of the early Earth records,” said Romain Tartèse of Manchester’s School of Earth and Environmental Sciences. 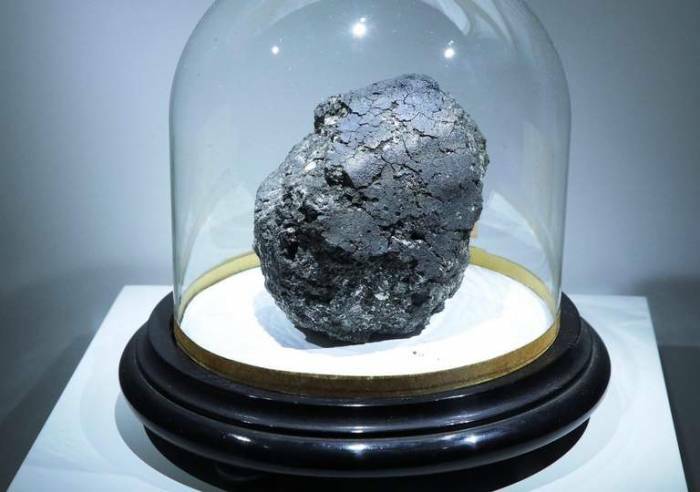 The researchers studied the meteorite for more than two years to determine its exact makeup. They found a series of clues as to how the building blocks of life formed – discovering, for instance, that the clues about oxygen appeared to suggest that the key materials were formed by themselves in our solar system, rather than having come from somewhere else.